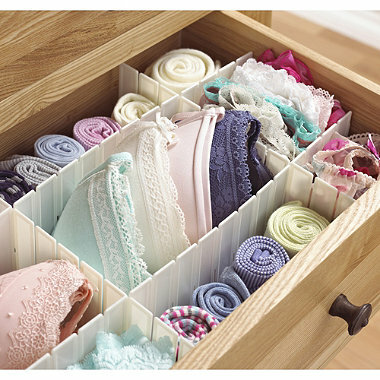 Convert Clothing Chaos into Calm: follow The Lady’s Maid’s guide to Wardrobe Organisation. Organisation is key to keeping a tidy and accessible wardrobe and prevent chaos from creeping into your clothing collection. There are many different constituent parts you have to bring together to create an outfit, so the process of dressing and creating outfits will be made a lot quicker and easier if your wardrobe is kept in a tidy orderly way at all times. 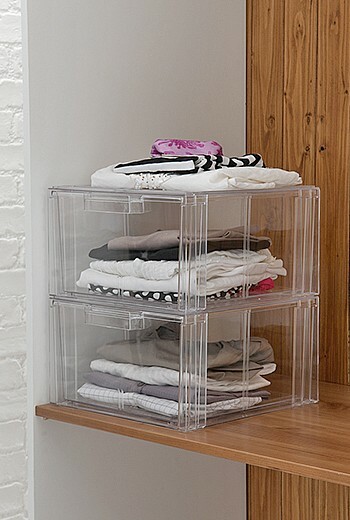 Once you have a system for organising and storing your clothes you will begin to value the things you do have and want to get the full potential out of each garment, rather than resorting to buying something new when you’re looking for a new outfit to wear. Sort through your wardrobe as outlined in the previous post Detox your Wardrobe. Before rearranging the clothes give the wardrobe space a thorough clean – vacuum inside and clean the sides and base with a damp cloth. Leave to dry thoroughly before placing clothes back inside. 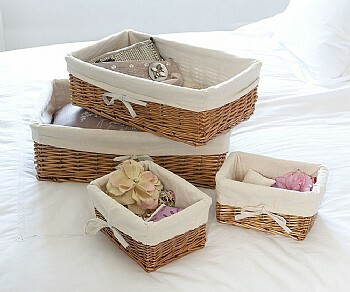 Re-line drawers with lining paper or drawer liners – preferably lavender or cedarwood scented to ward of moths. The best way to organise your clothing is to divide it into sections such as: business/formal wear, casual wear, evening wear, outdoor wear. Within these sections organise garments by garment type (e.g. skirts/tops/trousers) and then by colour within these types, from darks to lights. Group together patterned and multi-coloured pieces. 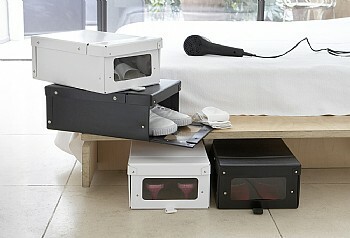 Don’t pack things in the wardrobe too tightly – clothes need space to air and hang freely to allow creases to fall out. Evening dresses with very delicate fabrics and clothes that are only worn occasionally should be protected from dust with garment bags. Use breathable calico bags. Short plastic shoulder covers can be used to protect the tops of dresses if you have lots of them and want to be able to view them all in your wardrobe. Very heavily beaded dresses should be laid in drawers rather than hung as hanging them will cause the fabric to sag and stretch. If you want your wardrobe to look professionally arranged and organised use matching hangers for all clothing within the wardrobe. 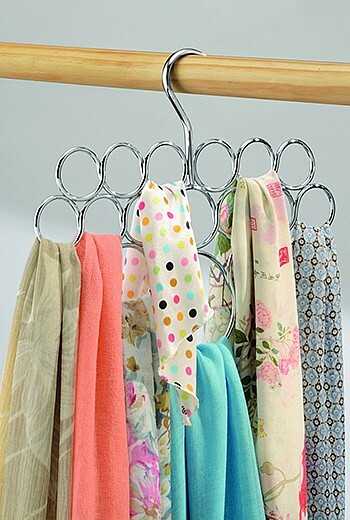 This will keep the clothes hanging at an even level and make them look more streamlined on the rail. Slim wooden or non-slip rubber hangers are the most space-efficient. Sort knitwear into groups such as: V-necks, High-Necks, T-shirts, Cardigans, and then into colour order: dark-light. Thick woollen knitwear is best kept folded in drawers or stacked on shelves to prevent the delicate fibres from stretching on hangers. Thinner knitwear can be hung but be sure to use appropriate hangers to support the vulnerable shoulder area, such as these ones from John Lewis. If placing shoes at the bottom of the wardrobe below the clothing, order them in a way that corresponds with the clothing above. This will look better visually and will also enable you to match up the shoes with appropriate outfits. Shoes that are not worn everyday are best kept in boxes to protect them – use boxes with a clear front so you can easily locate them. Portable hanging rails are practical and economical if you need extra hanging space in a spare room, and also very useful for planning travel wardrobes. The downside of these are that your clothing will be exposed to dust, so make sure you only use clothing rails for everyday clothing that is worn and washed regularly. Shoe hanging bags can be fixed over a hanging rail to allow you to store multiple pairs of shoes and are particularly good for flat and casual shoes. A multi-hook rail fixed over the back of doors for hanging coats and bags. 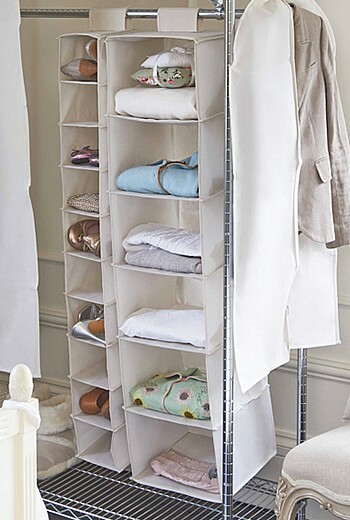 Baskets or stackable trays could be placed on shelves within the wardrobe to keep together bulkier accessories that are awkward to store elsewhere. 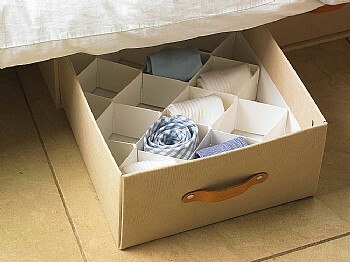 Draw dividers – good for organising underwear or accessories such as belts within drawers.